This Diwali, CITTA Mall invites everyone to paint diyas (oil lamps) for a good cause! For only RM50, shoppers will be provided with a die-cut wooden board in the shape of a lamp along with the materials required to create beautiful masterpieces, which will be displayed prominently at CITTA Mall’s Drop-Off Area on the Ground Floor. All proceeds will be channelled to the Selangor Children Welfare Home in Klang Utama. The diyas can be collected from 25-28 October 2018 at the workstations located near the Drop-Off Area on the Ground Floor (in front of Nando’s). Once shoppers have donated the RM50 fee per diya, they can start painting! All materials will be provided, but shoppers may feel free to bring their own art supplies and be as creative as they like. There are no limits on how many diyas shoppers may paint. 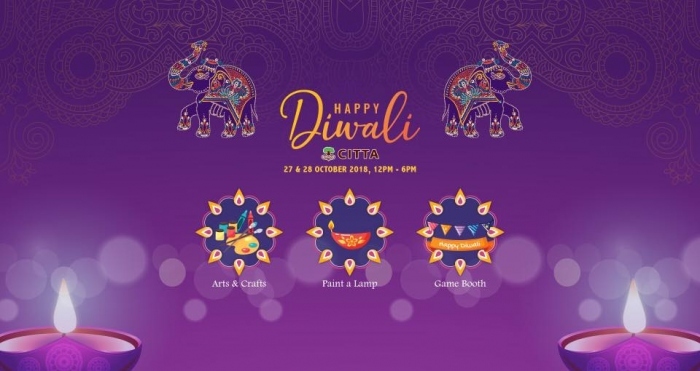 All completed diyas will be displayed at CITTA Mall’s Drop-Off Area until 10 November 2018.